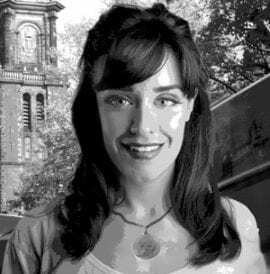 If you have ever had nerve pain from a tooth, you are well aware that it feels like someone has ignited a stick of dynamite and you are just waiting for your head to explode. Getting relief for this type of pain is something that cannot wait. Fortunately, there are a number of home remedies for tooth nerve pain which can bring you some quick relief until you can get to your dentist. Often associated with tooth nerve pain is inflammation. A cold compress can help reduce the swelling as well as help to numb the area affected. Wrap ice, a bag of frozen peas or an ice pack in a thin cloth to create a cold compress. Press the cold compress against the cheek adjacent to the affected area. Keep it in place for about 10 to 15 minutes. You can release this several times during the day. Tooth nerve pain can benefit greatly from garlic, which is a home remedy that is easy to get a hold of and follow. Garlic has anti-inflammatory and analgesic properties to help get rid of the pain and its antibiotic properties will also help fight off any infection that is present. 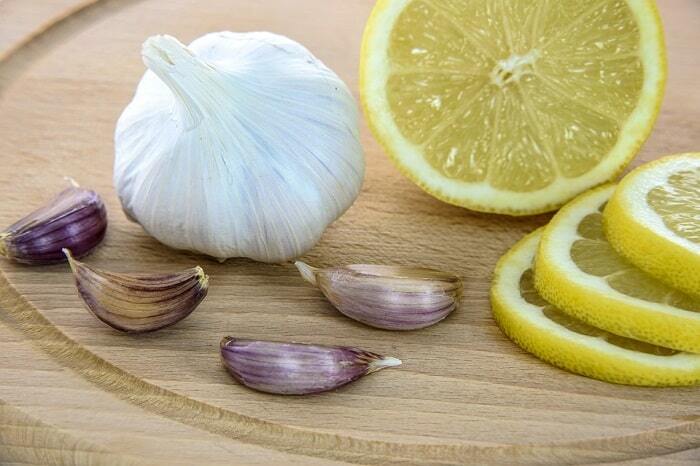 If you can stand to chew, chew a clove of fresh garlic and press it into the gum nearest the affected area. If you cannot chew, then crush the clove of garlic in a garlic press or by other means and apply it in the same fashion. You can repeat this 3 or 4 times per day. An effective essential oil, which makes an excellent tooth nerve pain remedy, is tea tree oil. Besides having some anti-inflammatory and analgesic properties, tea tree oil also contains antiseptic and antibacterial properties to help clear out any infection that might be creating the pain. Massage a drop or two of tea tree oil into the gum nearest the affected area. An alternative is to add 3 to 4 drops of tea tree oil into a glass of water and use it as a mouth rinse. You can use either of these treatments 3 to 4 times per day. The simplest among all home remedies used to treat tooth nerve pain is salt water. Salt water has what is known as an osmotic effect on your teeth. It is easily absorbed through the surface lining and penetrates to the root of the problem. It works as an astringent, antiseptic and analgesic. Dissolve ½ tsp of salt to a 4 oz. glass of warm water. Take about ¼ of the glass into your mouth at a time and swish it around for 20 to 30 seconds before spitting it out. Repeat this until the glass is empty and then rinse your mouth with an antiseptic mouthwash if necessary. You can repeat this remedy 3 to 4 times during the day as well. These are one of the most effective, natural analgesics used professionally for treating tooth nerve pain. Cloves have anti-inflammatory and antibacterial properties along with their analgesic ones and are proven to be as effective as benzocaine, which is a numbing ingredient found in most toothache gels you get over-the-counter. Gently massage clove oil to the gum adjacent to the affected tooth. If you do not have clove oil, you can chew or crush several pieces of whole cloves and place them between your cheek and gum nearest the affected tooth. You can also make use of 1 tsp of powdered clove in a glass of warm water as a mouth rinse to help bring relief. Utilize any of these remedies 3 to 4 times a day. It is likely that you aren’t even aware that there is a plant known as a toothache plant. This plant is often called spilanthes oleracea or Szechuan buttons. This particular plant is utilized a great deal to relieve dental pain and inflammation in Eastern medicine and works similar to cloves. Chew up two buttons (flowers) from the plant and press them in your cheek next to the affected tooth. As an alternative, you can rub extract from this plant to the gum nearest the affected tooth. You can also make a mouth rinse by making tea with these flowers or adding the extract to warm water. Repeat any of these remedies 2 to 3 times daily. This is another great herbal home remedy which works well for relieving tooth nerve pain. Ginger not only has antiseptic and antibacterial properties, but it makes an excellent anti-inflammatory agent as well. Slice off ½” finger of fresh ginger root and peel off the outer skin. Crush or chew the piece of ginger and then hold it between your cheek and gum next to the affected tooth. 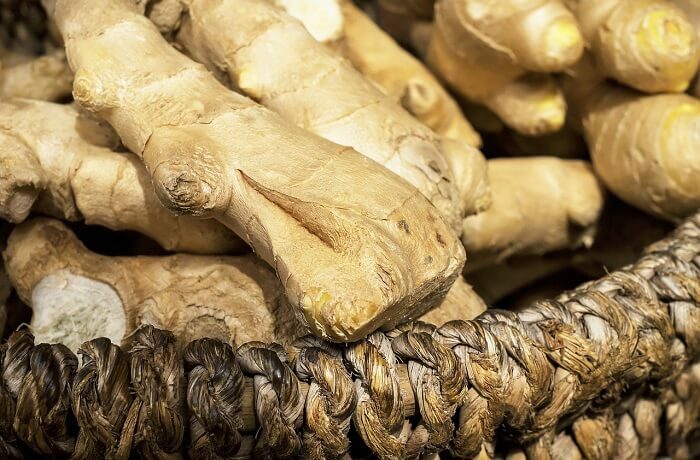 You can also boil ginger root in a ½ cup of water for about 5 to 7 minutes, strain out the tea, allow it to cool and use the tea as a mouth rinse. Use either of these remedies 3 to 4 times daily. Ginger’s cousin, turmeric, is also quite effective when it comes to treating tooth nerve pain. Turmeric is a powerful anti-inflammatory herb which is known to be as effective as ibuprofen at reducing inflammation but doesn’t come with the associated side effects. Add several drops of warm water to 1 tsp of turmeric powder until you make a thick paste. Apply the paste to the affected tooth and gum with a cotton ball or cotton swab (it will stain your finger and everything else bright yellow). An alternative, if you can find fresh turmeric root, is to crush or chew it and hold it between your cheek and gum just as you did in the ginger and garlic remedies above. Repeat this remedy 3 to 4 times daily. The combination of peppermint and thyme is an unbeatable home remedy for the treatment of tooth nerve pain. Both of these herbs have antimicrobial properties and work as an antiseptic to help eliminate the cause of the pain, but they are also excellent for reducing inflammation, which is part of the pain as well. The easiest use of these two herbs is to add 2 to 3 drops of each to 1 tsp of coconut or olive oil and then apply the oil directly to the affected area. You can also chew or crush a fresh leaf of each of these and place the pulp between your cheek and gum near the affected tooth. Another alternative is to boil 1 tsp each of the leaves in 1 cup of water for 5 to 7 minutes, strain out the tea, allow it to cool and use the tea as a mouth rinse. You can use any of these remedies 3 to 4 times daily. You might not be as familiar with Yarrow as you are with many of the other home remedies we’ve listed, but it is also very effective at treating tooth nerve pain as well. Yarrow has anesthetic properties which help to numb the pain, it is also well known for healing sores and wounds, which might be causing the pain. Either the roots or leaves of yarrow can be used effectively. Utilize yarrow in the same manner as the other leaves and roots we have mentioned above. Believe it or not, you can get tooth nerve pain relief from an onion as well. The organic sulfur compounds found in onions work as a bactericide, but they are also effective at reducing inflammation and as an antiseptic. Slice off a chunk of fresh, raw onion and crush it or chew it. Place the crushed onion between your cheek and gum adjacent to the affected tooth. 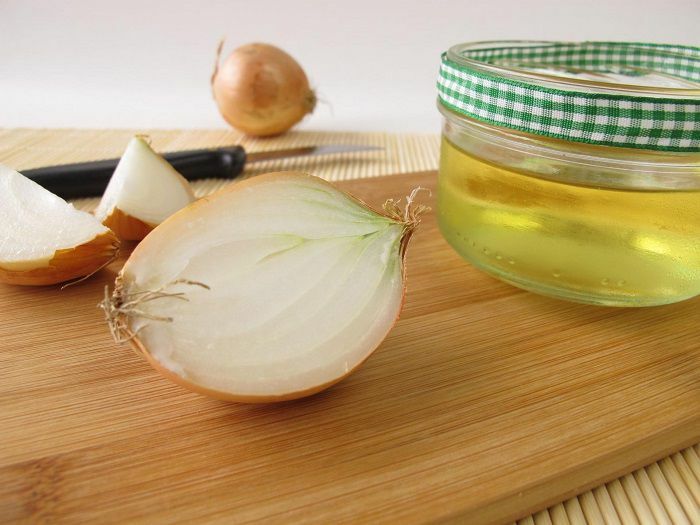 You can also extract onion juice and apply it directly to the affected gum. Or add 1 tsp of the extracted juice to a 4 oz. glass of warm water and use it as a mouth rinse. Repeat any of these remedies 3 to 4 times daily. Similar to tea tree oil, oil of oregano is an essential oil that makes an excellent home remedy for treating tooth nerve pain. Oil of oregano has antiseptic and antimicrobial properties, but it is also anti-inflammatory and has an analgesic effect as well. Rub 2 to 3 drops of oil of oregano essential oil on the gum next to the affected tooth. You can also add 6 drops of oil of oregano to ½ cup of warm water and use it as a mouth rinse. This concoction will probably make you smile because it sounds like something that might come out of Eastern Europe. Believe it or not, this is actually an effective home remedy for relieving tooth nerve pain. We’ve discussed salt’s properties as an antiseptic earlier, but adding sage to it gives it an antibiotic and inflammation-fighting boost. The added numbing effect of the vodka completes the pain relief package. Crush 2 tsp of dried sage into a shot glass. Add 1 tsp of salt and fill up the rest of the shot glass with vodka. Allow the mixture to infuse for about 5 minutes. Chew and swish about half of the solution around in your mouth for 20 to 30 minutes and then spit it out. Repeat this process with the remainder of the solution. You can use this remedy 2 to 3 times daily. Real vanilla extract (not the imitation stuff) is also an effect tooth nerve pain remedy. The vanilla bean has some antimicrobial and anti-inflammatory properties to help with the pain, but it is the alcohol content which provides the numbing effect to relieve the pain. Rub a few drops of vanilla extract directly on the gum of the affected tooth. You can also add ½ tsp of vanilla extract to ½ cup of warm water and use it as a mouth rinse. Repeat either of these remedies 3 to 4 times daily. You might be more familiar with the alternate names of Petasites, which include butterbur or coltsfoots. Whatever you decide to call it, this is also an effective home remedy for relieving tooth nerve pain. What makes Petasites effective is its natural anesthetic properties which produce fast-acting pain relief. Soak 1 tsp of the dried root in 1 cup of water for 12 hours. Bring the water with the roots to a boil and then reduce the heat to a simmer for 5 minutes. Strain out the tea and allow it to cool. Drink this tea, holding it in your mouth and swishing it around before swallowing. Do not continue drinking this tea for more than two weeks straight. When it comes to the pain associated with your teeth, getting your hands on an effective remedy to help ease the pain can’t come soon enough. 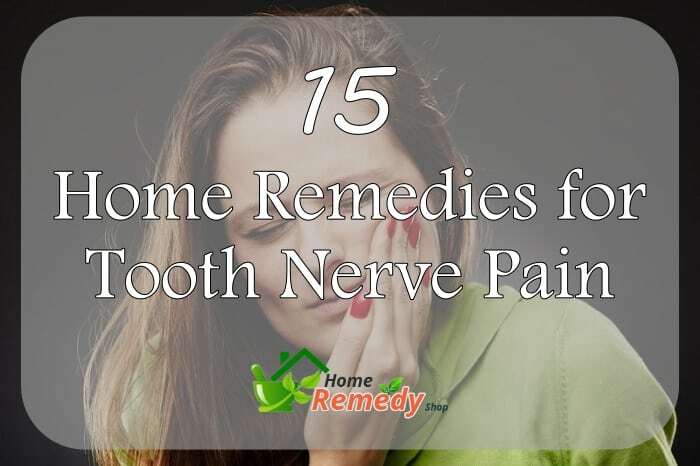 The 15 home remedies for tooth nerve pain listed above can quickly come to the rescue and provide the much-needed relief until you can get to your dentist. Make use of one or several of these remedies next time you have tooth nerve pain. Remember that there are different home remedies for a toothache while pregnant! Be sure to include your questions, success stories and additional remedies in the section below as well.